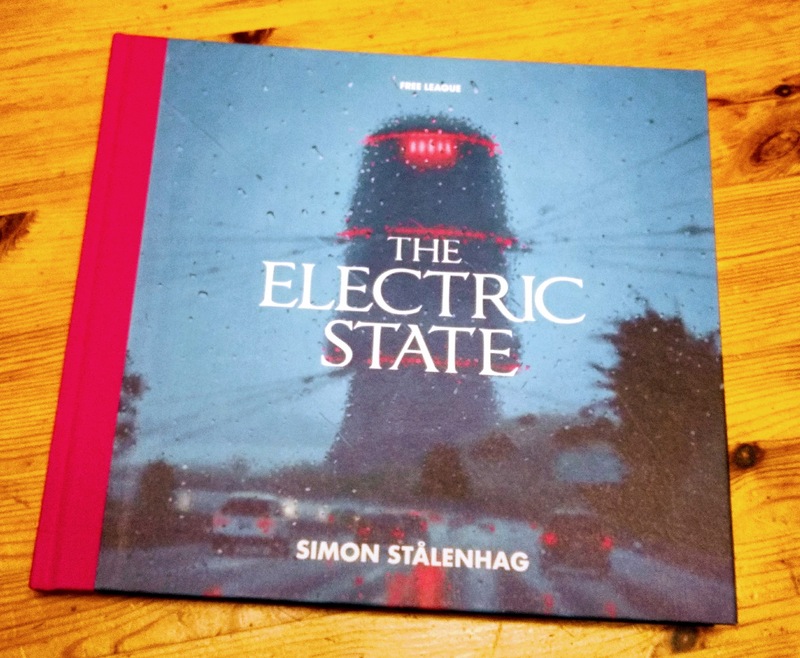 The story of Electric State – written by Simon Stålenhag and released by Free League Publishing – tells a tale of a teenage girl and a bulbous headed yellow robot travelling across America, toward the coast. Split across chapters that chart part of this journey, the landscapes are littered with ominous towers trailing webs of cables, statue-like drones and the wandering bewildered, their heads masked by neurocasters. The book mentions a war, in which massive drones fought the battles. The neurocasters invariably served as a the medium for the control of these drones, like the remote warfare we see today. However, in this world, mechanical forms like these were experimented with decades ago and the technology of the neurocasters, too. It seems that the neurocasters could harness the mind and potentially allow many minds to intermingle, forming a greater whole. As so often happens with technology, something went horribly wrong. The domestic use of neurocasting became a narcotic of choice and society collapsed as dependency climbed. Occasional trips into the world inside the helmets became longer and longer, until people simply didn’t come back – and somehow their bodies managed to survive the neglect and even partial destruction. 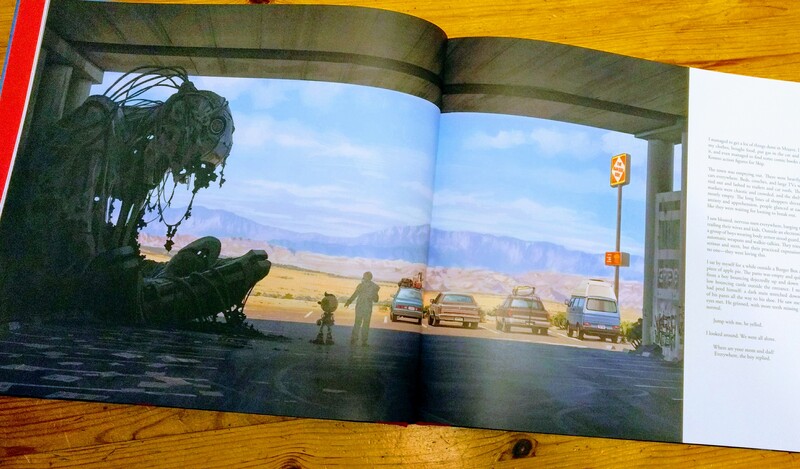 The imagery herein has those qualities about it that make Stålenhag’s work so engaging. The photo-realistic quality of a world that could so easily be, yet so clearly isn’t. Landscapes of forests, deserts, mountains and towns – with massive rusting drones or looming towers glittering with lights. Beautiful stuff, though I found the story interesting but not quite as compelling as Tales from the Loop. Nevertheless, the narrative thread has power and the loose-ends make me want to see more. I want to know more about Michele and the world she inhabits – and I daresay there’ll be a stab at a game or something before long, complete with neurocaster zombies and drones with a ominous feeling of Wells’ War of the Worlds going on about them. Gorgeous book with thick paper and a pleasant texture, complete with that smell about the paper that makes it a joy to all the senses. Utterly gameable; self-contained, but screaming out for expansion in every direction.